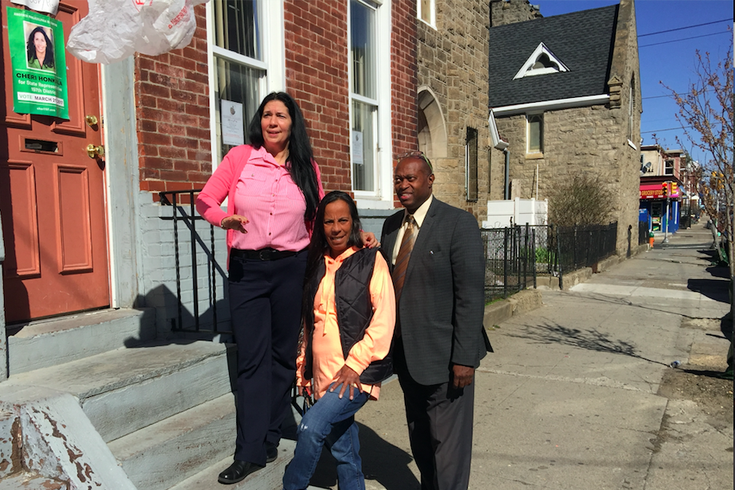 A wind-swept plastic bag transformed from North Sixth Street litter to a photo shoot distraction outside Cheri Honkala's modest campaign office in North Philadelphia. Backed by the city’s Republican Party – who ran candidate Lucinda Little in that race – she alleged that voter fraud helped lead Democratic Party-backed Emilio Vasquez to victory via his write-in campaign. 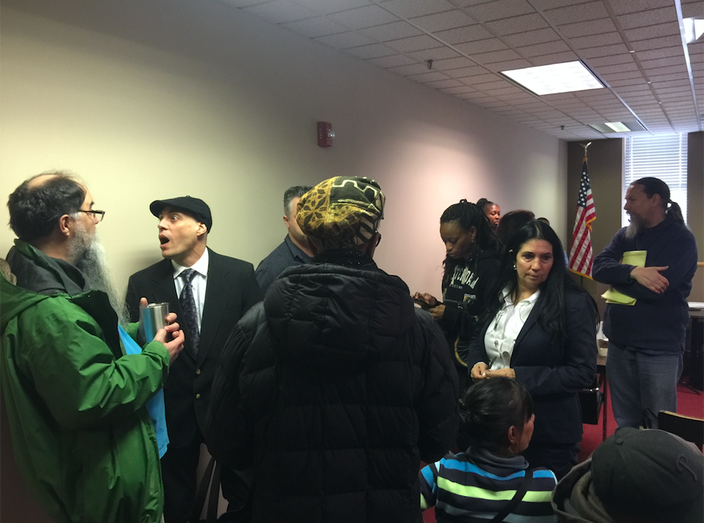 On Wednesday, Honkala sat in a Philadelphia Common Pleas courtroom and watched Calvin Mattox – one of four election board workers charged with Election Day malfeasance – plead guilty to a “qualification of election officials” misdemeanor. The Democrat admitted he broke the law by working as an election official in a 43rd Ward polling place – near Kensington and Allegheny avenues – though he was not a resident of that ward and division. For that, Judge Scott DiClaudio sentenced him to one year of probation and stripped him of his right to vote in any election before April 4, 2022. Of the remaining three defendants, Dolores Shaw was accepted into the Accelerated Rehabilitative Disposition (ARD) program while Thurman George and Wallace Hill await their day in court on May 9. “This is the real ‘house of cards,’” said Honkala in the hallway outside a ninth-floor courtroom in Center City’s Criminal Justice Center. Honkala also spoke how this tangible example of voter fraud affected her, the 197th District and the very notion of fair elections. “The people in the 197th District, the poorest in the state, did not have the right to choose who they want for elected office,” she said. “Talk about damages and restitution, I spent $100,000 on my campaign, from 2,000 donors giving in $20 increments. They were robbed. Cheri Honkala (second from right) awaits the final tallies in the 197th District statehouse race in which she was a write-in candidate. She'd later learn in that Board of Elections hearing room that she lost the race, but will fight on in court. She’s frustrated that nobody seems to be paying attention to the voter fraud happening right in their backyard. That’s a damn good question. The fact of the matter is that I wouldn’t have heard about this case if not in the courtroom for another sentencing. It seems that the chaos of the 197th has gotten lost in a blend of apathy and attention being paid to other pressing matters in that area, most notably the ravages of addiction and the resulting overdose deaths. When stories like this get ignored or downplayed, it bolsters theories of a broken election system in Philadelphia and beyond. Sure, it might not seem like all that big of a deal for some random dude from outside of the division to be working at a polling place on Election Day. Well, Honkala is absolutely right when she said it most certainly is a big deal. Even if it didn’t impact the outcome of the election itself – one count had Vasquez approaching 2,000 votes while Honkala didn't crack 300 – these four cases of voter fraud are four too many.